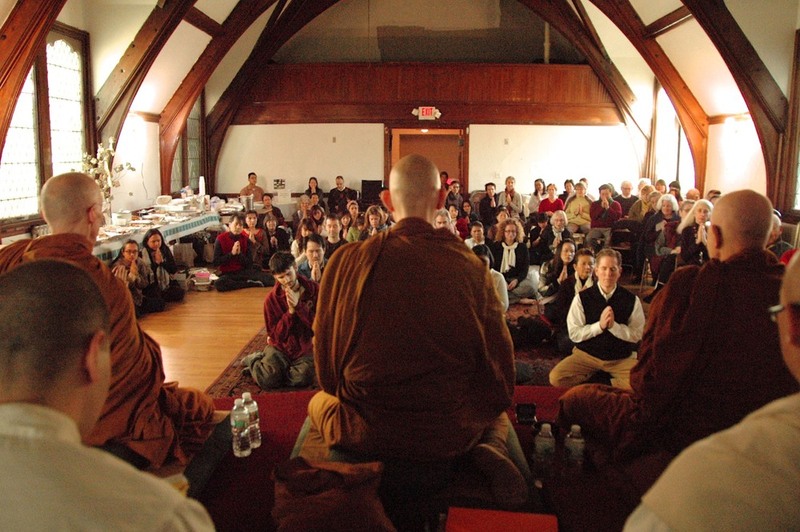 It’s been quite a few weeks now since our activities in New England came to a pause and we wrapped up the temporary vihara in Allston. After a full few final weeks, many goodbyes and with a warm feeling in our hearts, Tan Caganando, John and I went our separate ways, with the plan being for us monks to return next summer to take up residence on part of the property Jeta Grove now hopes to purchase in Temple, New Hampshire. John set off to visit various people and places before going to Abhayagiri Monastery with the intention to join the monastic community as an anagarika. He’ll spend the Winter Retreat (January, February and March) there as part of the lay support team. He was a great support during his two-month stay with us in Boston, and goes with our best wishes and blessings. Ven. Caganando returned to the Pacific Hermitage, and has reiterated his wish to be part of the new monastery; however, he will not be able to join us until probably April 2015 – as he has a previous commitment to support the Hermitage by covering for Ajahn Sudanto who will be on personal retreat from next April until then. So, initially I will be returning with at least one, maybe two or three other monks-to-be-determined next year. Meanwhile I have been back to Amaravati and am now in the midst of various teaching engagements in Malaysia and, soon, Thailand. I must apologize for the fact that we’ve left these bulletins and the website somewhat in need of attention in the weeks since the very uplifting Pa Bah Ceremony held just before we left. Much enthusiasm and interest for the monastery project was expressed, as well as generous donations towards making the vision a reality. Things are well in motion now, and I expect that the Jeta Grove Board will make an announcement or two over the coming weeks to let you know how things stand. Also, we welcome any expression of interest or help – we’ll see what opportunities to gather arise in the coming months during this hiatus while we wait to return in, probably, July. 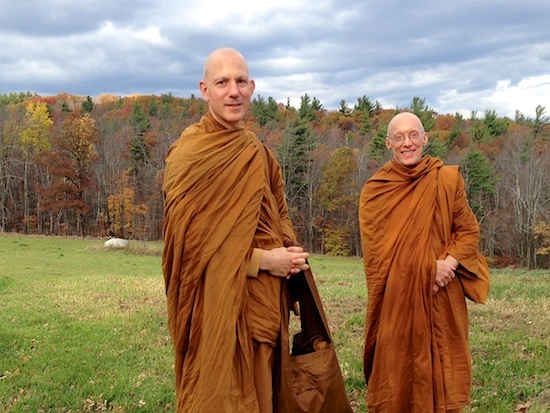 For now, Ajahn Sucitto is currently teaching at the Forest Refuge in Barre, and will be in Boston for an event or two organized by Buddhaparisa – see their website for details.